Home Baby Care Tips Can Child Plan Give a Guaranteed Return? Can Child Plan Give a Guaranteed Return? Human beings are risk averse by nature. In case of matters of money, this risk adverseness is more visible. Have you ever wondered why the major savings of people go to bank deposits, insurance, or government schemes? These assets provide low to average returns. Yet majority of people choose these investments and not equities or mutual funds which give better returns in long run. This is because the presence of certainty in these investments. This certainty provides what is called “Guaranteed” return. Equities, on the other hand provide no guaranteed return and hence it is considered more risky even though it beats all other investments in the long run. 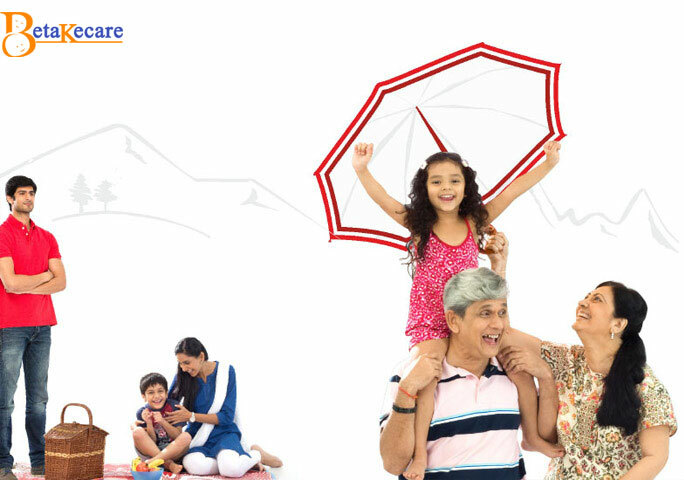 So the question naturally arises regarding child insurance plan. Does Child Insurance Plan Give Guaranteed Return? Let’s first understand the types of child plan. There are mainly two types: Endowment plan and ULIP. Let’s first discuss endowment with respect to return. Most of the child insurance plans are endowment plan. In some plans, money back feature is also added to this plan so that the child keeps getting money at certain age or interval to meet his or her expenses for specific purposes. Endowment plans do not give a specific guaranteed return as such. However, since they invest in low risk or risk free bonds, the return can vary from 4% to 6%. When the child insurance plan also includes money back plan, the child may get some part of sum assured at certain interval of time. For example, in one of the child insurance plan, the child is supposed to get 20% of the sum assured when he or she turns 15, another 20% when he or she turns 18. The rest can be paid at the end of the maturity. There can be other variation of money back policies. Even in this case, there is guarantee of money back as percentage of sum assured. The sum assured is fixed throughout the maturity of the plan. The final sum after maturity includes the remaining part of the sum assured along with bonus. The bonus part too can be forecaster with fair accuracy. So in a way, the maturity amount in the endowment plan can be guaranteed with fair accuracy. However, the return is low to average that it cannot be sold based on guaranteed return. Moreover, insurance should not be judged based on the return. Its purpose is not to provide a high return but a safety net in case of any eventuality. This eventuality can happen in a year, or 5 years, or at maturity. The insurance company has to provide the sum assured. ULIPs are unit linked insurance plans which are a combination of investment and insurance. The purpose of ULIP is not only to provide insurance but also generate large amount through investment. Hence it invests a part of your premium in equities. So unlike endowment plan which puts all your money in bonds or risk free fixed income securities, ULIPs invest in risky securities where the rate of return is not known in advance.Since equities do not provide any guaranteed return, ULIPs cannot promise a guaranteed return. The return depends on how the equity market performs. For example, if in any given year the return from equities is 20%, it will increase the value of the corpus by 20% of the equity portion. In another year, if the equities lost 25% in value, the corpus will come down by the same. So the equity portion fluctuates widely which makes ULIPs a risky product compared to endowment plan. At the same time, the potential to earn higher return is greater in ULIPs. Equities are risky investment but they have been known to beat any financial assets over a longer run. Guaranteed return is only possible in case of investing in Government securities and bank deposits. Even high grade corporate bonds can default though it rarely happens. Hence when the investment is done in fixed income instruments, guaranteed return can be possible with fair accuracy. However, investing in equities doesn’t guarantee any return.